How turning your internal penetration team into a 'Friendly Network Force' can identify and shut down the cracks in your security program. When evaluating or building a security operations program, one of my first steps is to ensure that a Friendly Network Forces (FNF) function is in place. I wish I could take credit for creating this concept. Readers with US Department of Defense backgrounds will recognize the nomenclature, commonly referred to as FNF or Blue Teams. To truly gain the most of out these roles, it’s vital to look for certain attributes and skillsets. For me, it is really simple. Team members must have extensive knowledge of how an enterprise environment is designed and possess a strong understanding of the most critical gaps and vulnerabilities. In fact, one of Armor’s FNF team members is one of our first employees, so he is someone who has a long history with the environment and understands each any every dark corner. It’s that important. FNF professionals should have the experience and contextual understanding of how real cyber threat actors target and attack their victims. There are great courses — the SANS-certified Network Penetration & Ethical Hacker course comes to mind — that provide solid foundations for this knowledge base. However, experience in leveraging this knowledge to penetrate networks is a difficult skill for potential FNF team members to acquire. Normally, you can’t apply this knowledge without facing legal or ethical ramifications. That’s why alumni from national-level intelligence agencies or security consultants, who have worked as both close and remote access penetration testers, make great resources as do former incident response and forensics investigators. Members of the team must be of high moral character. This might sound corny and obvious to some, but it is very important that members of the FNF team are very discreet in their activities and can be trusted with the highest levels of access within an organization. These teams watch everyone. They look for any and all anomalous activity — from the front-desk admin to the greater security team to the CSO. It’s even a good idea to include them on HR situations where an employee could be an insider threat. I am confident that if my FNF discovered that my laptop was compromised, they would have the authority and moral courage to let me and the CEO know that I screwed up. That is the litmus test for every member of our FNF team. This type of character and visibility should be present in every organization. FNF teams are more than just internal pen-testers. When employed correctly, they will identify and shut down the cracks and seams in your security program. 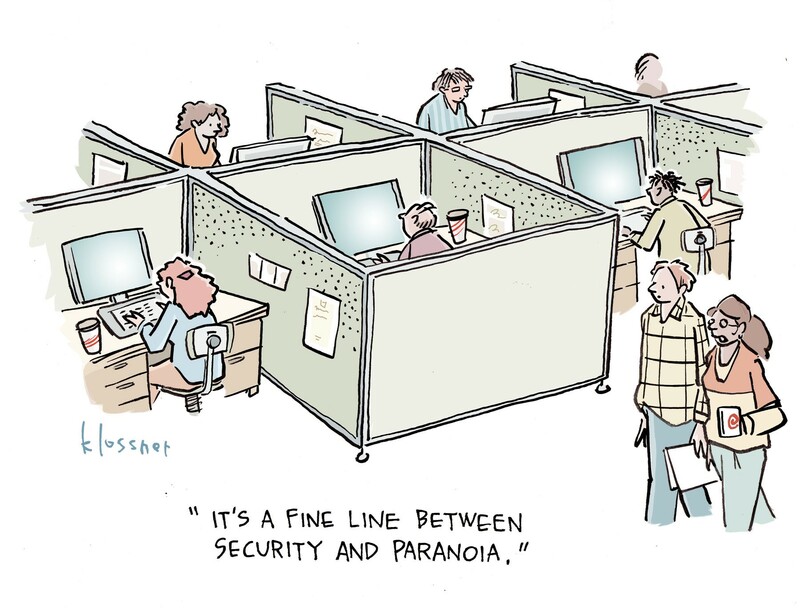 They will validate that your security operations team is doing what they say they are doing. And they will lock in on any unscrupulous, suspicious or erratic behavior within your organization. I can’t imagine a mature security organization NOT having an FNF team. That is, unless they are afraid to know the truth. But as high-profile breaches have proven, this strategic ignorance will not prevent consequences. It only exacerbates them.